The Walking Writer workshop is all about nature and writing. Many writers including Virginia Woolf, Ernest Hemingway, and Frank O'Hara used walking as a way of stimulating their writing. Walking is not just good for the physical body; it is good for the mind too. For William Blake and William Wordsworth, walking was a way to leave the outside world behind. We will be retreating from the busy everyday into our own particular creative worlds with an emphasis on sight, sound, smell, touch and hearing and there will be some readings.We will be writing and walking in the wooded areas of Finchley. 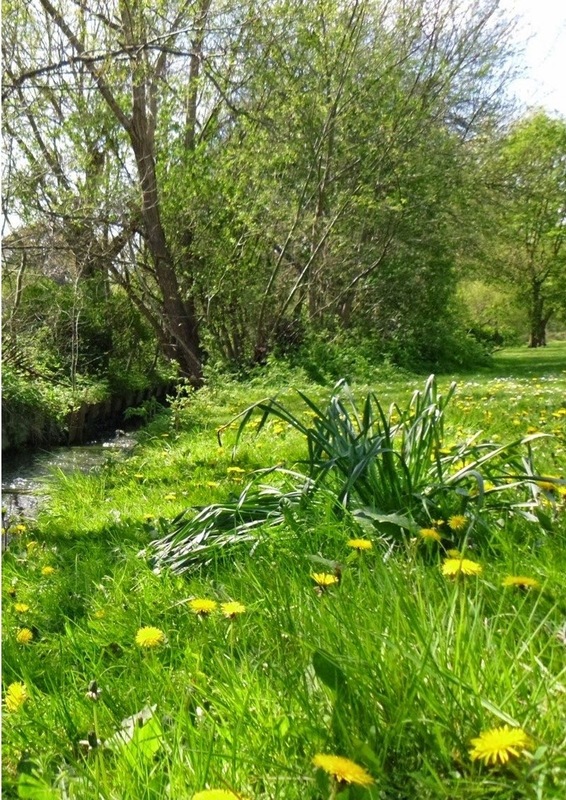 We will meet at West Finchley and make our way down to the beautiful Dollis Brook where we will write among the trees. You will have a chance to discuss your latest writing project, make new writing friends or meet old ones. We will stop for lunch at The Redwood Café in Swan Lane Open Space. As a way to fund her PhD; Rosie Canning is offering this workshop on a donation basis. Rosie is hoping her PhD will contribute to changing the outcomes for Care Leavers by challenging stereotypes and the public consciousness. I realise we've not had contact for many years, thirty-eight to be precise. Though I did see you twice after I left home at sixteen, so it's more like forty years really. Do you remember my eighteenth birthday? You gave me a cheque for 15/- (that's 75p in new money) and a tea set. I thought you might at least write and ask how I was doing. I've always worked apart from the odd occasion when I was homeless. I regret to say I was on benefits for a while but to be honest, I saw this as you supporting me from a distance, even though you never signed any of the letters yourself. There was one in particular, the one where all my benefits were stopped and that week the children really did starve. It was signed by somebody called Harry something-or-other. I've racked my brains going through all the aunts and uncles I met during my 16 years in your care but cannot remember him. Was that really you? Using a pseudonym? I guess it was about six months after I left Blueberry Road, I'd been living in a bedsit, well that's what it was called. I got behind with my rent and was asked to leave. I stayed on a friend's sofa for a few nights but after a while, I just felt awkward. I did phone but you were busy decorating my old bedroom for somebody new. I have managed, not always very well, and I do remember people commenting on how skinny I'd become. It's not as if I didn't know how to cook but I couldn't afford to buy the food, so I ate custard creams instead. I don't want you to feel sorry for me, I'm just trying to explain how difficult life was. It's not difficult now. I'm a successful member of society. In fact, I'm notorius. I have become a campaigner for children in your care and care leavers like myself. I'm not sure if you're proud of me or not. In fact, I'm going to parliament this Thursday; to visit the home of your father, my grandfather. I imagine he won't be able to hear what I say because of course, he never invested in a hearing aid. Whatever is said, will probably fall on death, I mean deaf ears. I'm still here. If I had moved away, I would have missed you more than I already do. Have you missed me? I suppose you're wondering why I'm writing to you after all this time. It's not easy you know, writing this letter. But I have nobody else to ask. My real parents (yes, I found out), my real parents are dead. Anyway I will just finish this letter very quickly by...it's such a difficult thing to do - to ask for help. I want to go back to university. I want to investigate what happens when children leave your care and how that is portrayed in fiction. I’m also going to write an autobiographical novel, like the social novels of Charlotte Brontë or Charles Dickens, possibly challenge your ‘state’ quo. I want to illuminate the voiceless, the marginalized children of society. The research has a literary purpose, a social purpose, which will comment on what happened to us in the seventies and is still happening in society now; it is an important story that needs to be told. Well, I just thought I'd drop you a line. If you do want to help, even at this late stage, you can find out more about my research here. *A child of the state was first mentioned by Lemn Sissay at the event TedxHousesofParliament. Thank you to Lindsay Bamfield for nominating me as a versatile blogger. I always enjoy reading Lindsay’s blog because she writes about writing in an informative, interesting and intelligent way. I've heard that to be a really popular blogger, it is better to concentrate on one subject. This has always been a problem for me as one of my blog articles explores: Writer? Activist? Writer? Activist? I did not have a clue what I was doing when I first started writing a blog as you’ll see if you have a hunt through my old posts. I know I am supposed to concentrate on writing, and only writing, but my activism occasionally takes over. Why not have two blogs? Yes this would be the answer. But then that would take more time! So as I’m not a number one blogger, or the Queen of Bloggers, like my first nominee Emily Benet, I feel I can get away with a bit of a mishmash or versatility! · Libraries - I’m a Senior Library Assistant and books have always been very important in my life. · Books – A writer must read a lot to be a good reader. It is about learning the craft. · And of course Cats – lots of writers have cats. I have two, Muffin, who has a pathetic squeak and Waffle who is a killer; they occasionally get a mention. 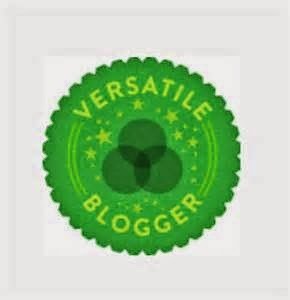 My next task as a versatile blogger is to tell you seven random things about myself and then nominate another fifteen versatile bloggers, who are invited to do the same. The idea is of course to introduce our readers to blogs they may not have visited. 1) I have a pink china cat that I won in a race when I was ten. It has a chipped ear where a friend dropped it on some stairs and a chipped foot where another friend dropped it on some grass – both times I was moving house. 2) I have a grandaughter who is twelve and grandson who is two. 3) I have my morning Jasmine tea in the same cup everyday. It has a picture of Queen Victoria and used to belong to my daughter, also Victoria. 4) I have written an autobiography and am now writing an autobiographical novel. 5) Reading fiction saved my life when I was growing up in the care system. 6) I have been with my current partner for 14 years the same amount of time I was married. 7) I’ve accepted a place at Southampton University to do a PhD in Creative Writing even thought I don’t have funding. I do however, have a lovely supervisor: Rebecca Smith. Last but not least, a campaign blog from Every Child Leaving Care Matters who are persuading Government to let those young people in residential care stay until 21 the same as their foster counterparts.